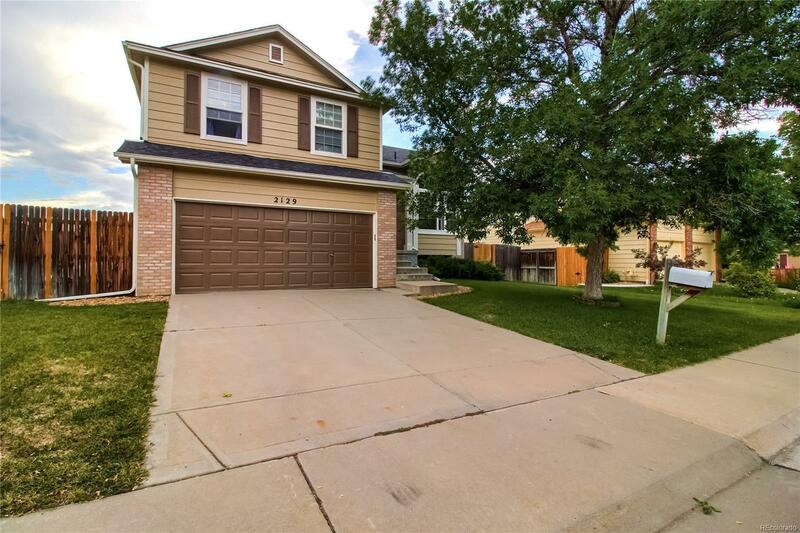 2129 South Uravan Street Aurora, CO. | MLS# 2054066 | Assist-2-Sell, We Sell Colorado - An Experienced Team of Discount Realtors. Welcome home to this lovely 4 bed/3 bath Aurora tri-level! New exterior paint. New roof 2015. Main level features vaulted ceilings, kitchen, and dining area. 3 bedrooms and 2 full bathrooms upstairs, including master suite with private master bathroom and walk-in closet. Newer paint in upstairs bedrooms. Lower level features large family room, and opens to deck and big backyard, perfect for enjoying the outdoors or entertaining. Basement recently finished, with additional bedroom, 3/4 bath, and walk-out sliding door. Backyard features a separate patio with covered pergola, garden areas, and large yard. Blocks from Rangeview High School and Mrachek Middle School. Walk or bike to easily accessed trails, including Powerline and Toll Gate Creek Trails, and Horseshoe Park. 10 minute drive to Cherry Creek State Park. Minutes from numerous shopping centers, restaurants, amenities, etc. Easy highway access to I-225 and E-470. Quiet neighborhood. You'll love living here!